Sue Bryce Photography - Retouching Editing A Mature Face | Free eBooks Download - EBOOKEE! Sue guides us through two different ways of editing a mature face: Detail oriented (and rather time consuming!) 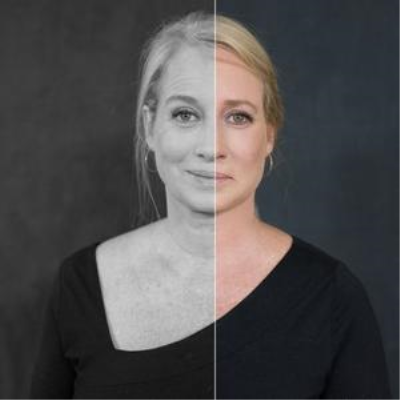 touch ups, and a special hack she designed in 2003 that will change the way you edit aged faces forever. Sue shows us how to not over do a mature face in the editing process with the clone stamp, removing marks without blitzing the face, fixing saggy chins, softening lines, using the healing too to remove hairs that have blown in front of the face, and most importantly, we learn about editing wrinkles, "We are not removing the wrinkles. We are removing the shadows underneath them. That is the important part." Now that we've gone through the "correct" way of editing a mature face, watch how Sue does everything you're not supposed to, in what she calls 'The Full Blitz'. Learn one of the fastest ways to retouch a face in this exciting cheater's edition of editing. It will not only save you time but totally surprise you on just how natural your clients look at the end. No comments for "Sue Bryce Photography - Retouching Editing A Mature Face".